Bollywood is an industry where secrets, be it funny or dirty are not only hard but impossible to keep. In a country where both craze and crave for Bollywood often reaches insane limits, even the paparazzi leaves the stars with very little privacy. We present to you some inside secrets of Bollywood stars as revealed by their peers. 1. in Kofee with karan, Kareena said she wanted to dance on Katrina’s item songs at their wedding. Kareena’s exact words on the show were: “I hope I get an opportunity to dance to Chikni Chameli and Sheila ki jawaani at Ranbir and Katrina’s wedding!” This big sister definitely lead her young brother to a lot of unwanted questions! 2. 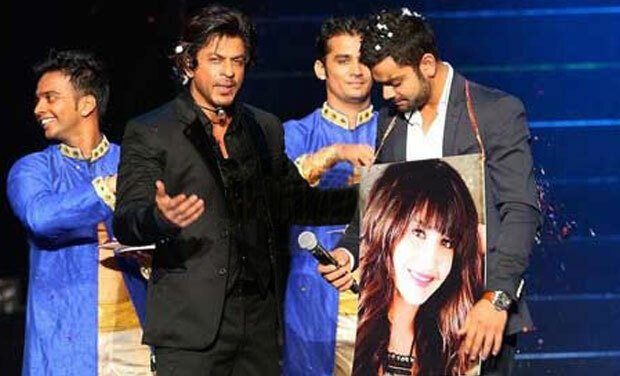 Shah Rukh did not spare cricketer Virat Kohli at the IPL 7 opening ceremony. The actor staged a mock ‘swayamvar’ for the team India vice-captain. He was asked to select his potential bride and of all the choices, he chose Anushka Sharma. SRK also made him wear the actress’s photo around his neck. Needless to say, Virat turned red in the face. The couple declared that they were indeed in a relationship later. 3. Did you know Aamir Khan allegedly has a love child with Bollywood writer Jessica Hines who he had met during the shoot of Vikram Bhatt’s Ghulam. 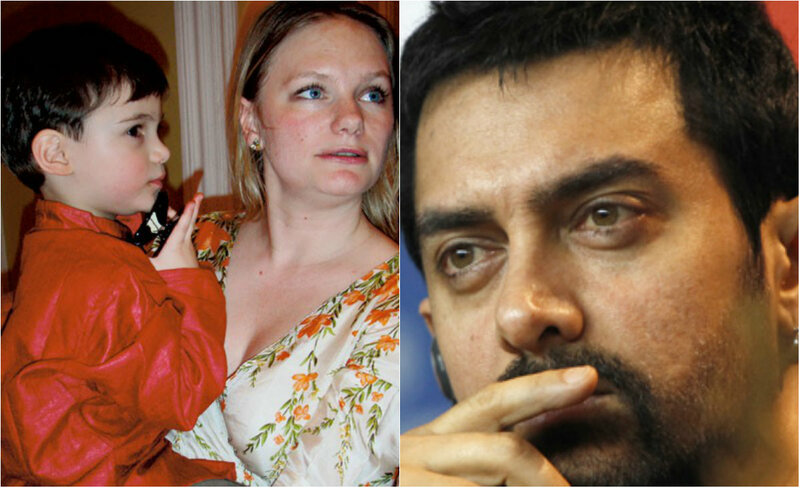 While Aamir has denied any possibility of a love child, Hines has been pretty vocal about it. She once said in an interview that when their son grows up, she would tell him that his father didn’t like them! Though it makes us wonder if anyone can make such tall claims without an ounce of truth in it! 4. Not many people know that Bollywood superstar, Hrithik Roshan has hired a personal life coach after his divorce with Suzanne Khan. Hrithik Roshan felt the need of someone professional to get over his messy divorce. The life coach’s job is to help Hrithik Roshan stay upbeat and focused about his work, and forget about his divorce with Suzanne Khan. 5. The striking resemblance of Sonakshi’s face with Reena Roy gave rise to the rumour that made many people believe that Sonakshi Sinha is in fact Reena Roy’s daughter and not Poonam Sinha’s. 6. Shilpa Shetty was blatantly charged by Raj Kundra’s ex wife for breaking her home. The ex-Mrs Kundra alleged that he was so besotted with Shilpa that their reconciliation became impossible. Shilpa, however denied being a home-breaker and said that Raj was already divorced when she started dating him. We leave the rest for you to figure out what must’ve actually happened. 7. Kangana Ranaut was not always hailed as the ‘Queen’ in Bollywood. She had an extra marital affair with Bollywood actor, Aditya Pancholi. He in fact used to even hit her on occassions, but Kangana stuck around with him as she wanted to work it out in Bollywood. Sad. 8. YES! Rumour is that Salman Khan gifted Jacqueline a 3 crore flat in Mumbai. Not only that, but many sources have seen Salman and Jacqueline drive off to his Panvel farm house. Something is certainly buzzing here. ! 9. Did you know Aishwarya Rai Bachchan was the first choice for Chalte Chalte instead of Rani? But SRK threw her out of the movie because of Salman Khan. Yes. Salman Khan would drive down to the film set everyday and would create a havoc. That is when SRK decided to fire Aishwarya and take in Rani instead. !